The Center for Aircraft Structural Life Extension (CAStLE) has a two-fold mission that supports aging structures and material degradation. First, is to perform a wide range of research and technology development projects focused on delivering critical science and technology (S&T) products required to understand material degradation in structures and systems to various government, academic and commercial sponsors. 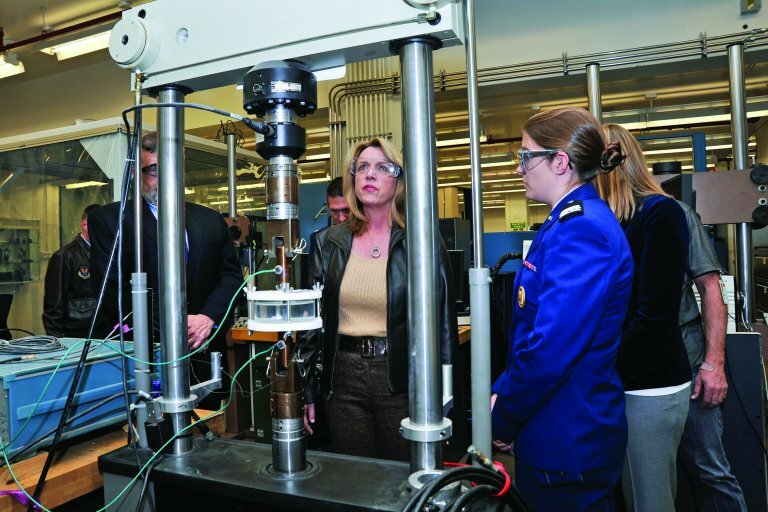 Second, but no less important, is to educate, train, inspire and otherwise prepare future generations that might become the core of the S&T community within the government and the general professional population. USAF Aircraft Structural Integrity Program support; component & full-scale testing, teardown analysis, flight data acquisition, root-cause analysis, modeling, etc. Multiple educational outreach programs: courses, videos, science center exhibits, student design challenges, college readiness programs, etc.